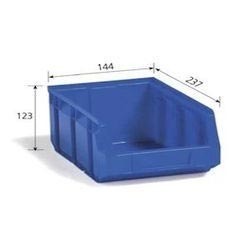 Owing to the wide experience of this domain, we are instrumental in offering Plastic Stacking Bin to our clients. Our product range starts from 3000 rs. to 20000000 rs. and it will be vary as per product specification. Storemax Equipment Company was commenced in the year 2006 as a Partnership based firm. We are instrumental in manufacturing and supplying a wide range of Material Handling Equipment, Storage System and Plastic Bin.